We help you to bring visitors to your site naturally. If you have a decent website running for sometime, however you are not getting many visitors to your website. You started to think that your website doesn’t work, but you have no idea how can it be improved. You know that most of the people use Google to search for anything. You are unable to find your website with Google, make you feel bad is that your competitors are showing up in the search engine result front page. If you are in one of the situation above, we can help you! Why it is so important to rank in Google? Beside Google, there are a few popular search engine in the market, such as Bing, Yahoo!, Baidu. Google global total market share is 67.8%, follow by Bing 13.3%, therefore it is important your website to be seen in Google. On the other hand, we have to rank our website in page one. Statistic shown on the first page alone, the first 5 results account for 67.60% of all the clicks and the results from 6 to 10 account for only 3.73%. SEO is a very powerful online strategy used to maximise the visibility of your web pages in search engines with the aim of driving targeted online visitors to your website. What is the benefits of SEO? A properly executed SEO strategy will result in more targeted visitors to your website to look for products and services that you offers. And in the long run, SEO will provide you with the lowest cost of traffic acquisition, compared with other forms of online advertising. Since our SEO strategies will help your website rank highly in the organic results of the Search Engine Results Pages (or SERPs) coupled with the fact that search engines do not and cannot charge websites that rank in the organic results. With more than half of the world’s population having access to the internet, and over 90% of online visitors using search engines to locate their desired information, product or service, achieving targeted exposure to search engine visitors now forms an essential part of most company’s marketing and branding strategy. Keyword research. We’ll perform search phrases research based on your industry, find out what are the search phrases your potential customers searching for. We research their popularity and competition to be used on your site. Website optimization. 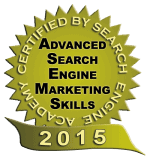 Now we study your website to see if you’re having those keywords in the right places. If not, we add those keywords that have an effect on your site listing in natural search results. Content creation. Do you create fresh contents regularly? Do you have all your services listed out in detail anywhere on your site? We can help you with both. Competitors analysis. We’ll study your competitor sites to research their strength and weaknesses. To know one’s own strength and the competitor’s is the sure way to victory. Link building. Search engines use links to crawl the web, they will crawl the links between the individual pages on your website, and they will crawl the links between entire websites. Conversion optimization. With clear objective and easier navigation, we help you increase the chances for visitors to stay longer in your website and eventually become your customers. Not sure will it work for you? Read our case study : Nursing College Advisor.